With mirrorless cameras becoming all the rage these days, it was just a matter of time before we found ourselves swarmed by so many offerings that could make your head spin if you’re not completely sure what you’re looking in your next camera. With every familiar brand being present on the market and with a choice of many different sensors, body sizes, price points and so on, it has never been easier to find a device that could fit your every need and allow you to make the most out of your photography or videography requirements. Still, some manufacturers did take their sweet time to come up with products that could bring the attention of the most demanding users out there (two of them in particular) and were only dabbling in the entry-level and mid-end segment of the market up until now. We are of course talking about Nikon and Canon, the most prominent DSLR brands, but only recently in the position to offer mirrorless cameras that can compete with the best out there. Nikon has already tried to make the impact on the market with their Nikon 1 series of cameras but didn’t enjoy much success with them because of their relatively small sensors and a limited number of available lenses. So, they’ve decided to take things more seriously this time around and tackle the enthusiast part of the market instead (which makes sense considering they’ve been creating excellent high-end DSLRs for many years now and have all the necessary experience to create a flagship camera) and the result of their effort is the new Z-series of mirrorless devices, with the Z7 model being the top-end and the Z6 the more mainstream offering. Both of them bring full-frame sensors, a plethora of useful features like in-body image stabilization, 4K recording, high-quality EVFs, sharp and responsive touchscreens, but also very decent battery life and very good build quality, making them a very interesting choice for existing Nikon users or those that were curious about the brand but weren’t excited at a prospect of owning a DSLR. This time around we are taking a look at the least expensive offering of the two, the Nikon Z6 (we will also be looking at the Z7 in the near future, so stick around our website for that particular review). What’s great about the Z6 right from the start is that it doesn’t sacrifice a lot in terms of its capabilities and features to reach its lower price point and can still be considered a flagship camera for those that prefer smaller file sizes and don’t want to deal with more demanding 45-megapixel photos produced by the Z7 itself (like wedding and sports photographers that have to rummage through a large number of images because of the nature of their work). Now, let us see if Nikon has truly done enough to produce a device that will battle it out with the likes of Sony, Canon or Leica (the only companies so far that offer full-frame mirrorless cameras) and with the usually cheaper, but increasingly more powerful APS-C and micro 4/3 cameras brought on by the likes of Fujifilm, Olympus and Panasonic. The first thing that the Nikon Z6 brings to the table over other of company’s more mainstream-oriented full frame DSLRs is a newly designed sensor. With 24.5 megapixels it is still very similar to ones built inside of them when it comes to resolution, but thanks to its backlit (BSI) design it will bring cleaner photos, especially in low light conditions. Impressive dynamic range we’ve come to expect from Nikon DSLRs should also remain and the only thing lacking here to make things almost perfect is the removal of an AA filter (you will get moiré-free images but not the amount of detail that can be captured with the Nikon Z6 or any other full frame cameras that don’t feature the said filter). However, it is also important to mention that the in-body image stabilization is also included on this camera, something that many different types of photographers and videographers will be happy to have on any of their devices. It will enable you to shoot at lower shutter speeds and get cleaner images at night (this will be especially helpful to those who own older lenses that aren’t already stabilized), use longer lenses more effectively, get a steady preview of what you’re currently trying to take a picture of and lastly, stable video footage if you’re recording it while holding the camera in your hands. So, if you don’t need the have the highest resolution possible and you can live just fine with 24 megapixels, the Z6 will certainly allow you to get great looking images in every possible situation (we’ll talk about that in more detail later in the review). What about performance? Does one of Nikon’s new full-frame mirrorless cameras bring any particular improvements in that area? Well, it certainly does. You can expect to get the overall responsiveness similar to your flagship DSLR, but one of the most interesting things surrounding the Z6 has to be its 273-point hybrid AF system, which should make it a very flexible camera thanks to it combining both the phase and contrast detect technologies and being able to offer the same performance no matter if you’re shooting through the viewfinder or the OLED screen on the back. This is one of many benefits of the mirrorless design and we’ll talk more about them as we go through our review. The new Nikon also offers a very fast burst rate of 12 fps, but with the caveat of focus being locked at the first frame (you’ll have to drop the shooting speed to 5.5 fps to get the full continuous AF support, which does make it a little less useful for those that were planning to use the Z6 solely a tool for sports or action photography). 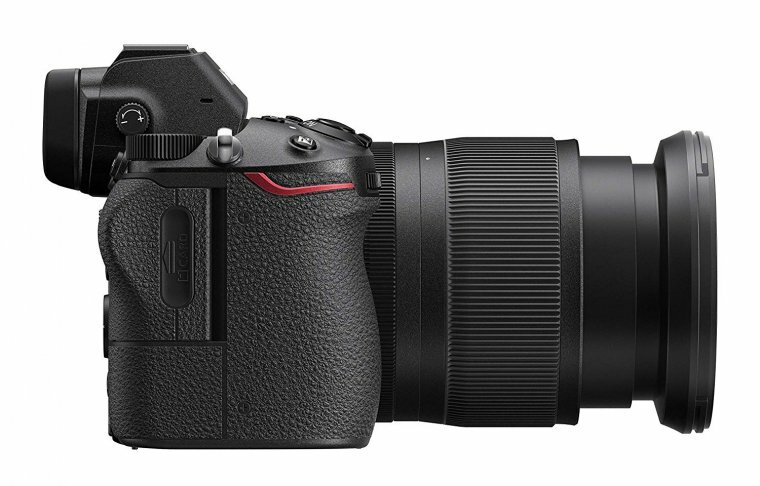 We expect for Nikon to release a dedicated sports mirrorless camera sometime in the future, but for now, you’ll have to stick to something like a Nikon D5 if you want a device that was made especially for those photographers whose priority is performance. The same can be said for the battery life. As we’ve already mentioned in our introduction, the Nikon Z6 does indeed feel like a very solid piece of gear. It may be lighter than some of the company’s DSLR, but it certainly isn’t any more fragile; it’s just more portable and a lot easier to handle if you’re usually bothered by the size and weight of any professional full-frame DSLR. It offers a large number of different physical controls together with the very helpful touch-sensitive screen that works very well with Nikon’s user interface and is indeed a very reliable method of controlling the camera and going through its menus or adjusting different settings. We do wish that the screen itself could be fully articulated so you could see yourself while shooting (especially useful for those people that are recording vlogs or want some high-quality self-portraits) but it is still more useful than the fixed screens found on most cameras out there. The electronic viewfinder itself is an even more useful addition and is one of the main reasons why you could consider replacing your DSLR with a mirrorless camera. It is big, bright and sharp and also bring such benefits as real-time exposure preview, focus peaking, magnification and plenty of shooting information that can be turned on and off at your leisure. If you’re a Nikon user that has already invested a lot into a number of different lenses (since the Z6 does support an official adapter that promises compatibility with the majority of company’s glass) and you’re considering taking a step into the exciting world of mirrorless cameras, there are only two sacrifices you’ll have to learn to accept if you decide to make the Z6 your own and that is the battery life and the single memory card slot. If a single card slot isn’t the end of the world for you and you are already used to carrying one or two additional batteries with you at all times than it shouldn’t be too much of a problem for you to make the decision to move to Nikon’s new system of mirrorless cameras (at least when it comes to build quality, handling, portability, built-in functions and the selection of different ports). All in all, we can say that using the Z6 left a very positive impression on us so far and we can’t wait what other surprises hide under its unassuming looks and tough outer shell. As is the case with the rest of our camera reviews we will continue with our tests by taking a closer a look at each and every detail found on the camera body itself and we’ll start with the front. This is where you’ll find the AF-assist illuminator/Red-eye reduction lamp/Self-timer lamp combo, the sub-command dial, two customizable buttons (Fn1 and Fn2) and of course, the obligatory lens release button. The left side of the camera is where you’ll find all the included ports (the microphone and headphone jacks, the USB and HDMI connectors, as well as the accessory terminal), while the right side houses the memory card slot. As is the case with most mirrorless cameras and DSLRs on the market the bottom holds the tripod socket and also the battery compartment (the Z6 uses the EN-EL15b lithium-ion batteries, the same ones that are also used in the more expensive model, the Z7). The top of the device is where you’ll find the main mode dial (together with its locking mechanism and three custom modes), a hotshoe mount, the Monitor mode button, a pair of stereo microphones, the Diopter adjustment control, a control panel (this is how Nikon calls the secondary LCD screen), a tiny speaker grill, the main command dial, the Movie-record, ISO and Exposure compensation buttons and lastly, the shutter button combined with a power switch turning the camera on and off. In the end, we are left with the rear of the Z6, the part of the camera you’ll spend the most time looking at while performing any of your photography or videography needs. We’ve already mentioned the high-quality EVF and LCD screen combination, but it’s also important to point out some other functions present on this particular part of the body. These are the Playback and the Delete buttons, the eye sensor (it will automatically turn on the electronic viewfinder the moment you put the Z6 to your face), the Disp button put together with the Photo/movie selector, the AF-On button that will help you with your back focusing needs, a sub-selector (or the focus point selection joystick), the simply named “i” button (it brings up a menu filled with frequently-used settings), the 8-way multi-selector with an OK button in the middle and also, an array of four controls which consists out of Zoom In, Zoom Out, Drive/Timer and Menu buttons. 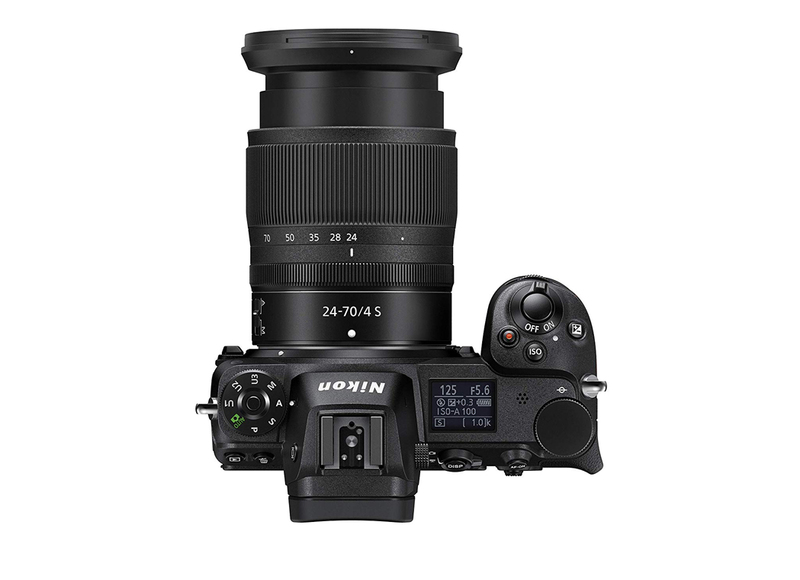 Well, you certainly won’t hear us complaining about any of the included controls on the Nikon Z6 since the company has done a tremendous job of transferring all the necessary buttons and dials found on their high-end DSLRs to the smaller and more portable body of the Z6. We can also say that we’ve never felt like any of them were hard to reach or uncomfortable to use (even though some of them are smaller in size than the ones found on bigger cameras). Nikon also wanted to make sure that the user interface on the Z6 is very familiar to current users of their DSLRs and that there’s not much of a learning curve necessary to get a grasp of all the available features, functions and customization. Since you will be dealing with a modern mirrorless camera, there are some additional options available for you play with, but even those aren’t hard to access them after the first time you learn about their placement within the menus. The entire interface works very well both with the physical and the touch input and all the menus are also nicely color coded and instantly recognizable, as you would expect from any camera made by a company like Nikon (who are always praised for the way their user interface is designed). Now, let us say a few words about all the customization options available on the Z6. The first important and useful thing is the new “i” menu, which lets you hand pick up to 12 different items from a long list of available options (such as Choose image area, Active D-Lighting, Metering, Focus mode, AF-area mode, Wi-Fi connection and so on) and quickly access those items at any given time. We also like the addition of custom shooting modes (all three of them) as they will allow you to save different sets of settings and adjustment that can be used for entirely different shooting scenarios (they can also be accessed quickly just by rotating the main mode dial to the right position). The Z6 also offers a lot of options when it comes to deciding how all the different buttons behave and it’s also important to mention that the camera will allow you to set different functions to those controls both for the stills and the video mode. 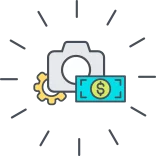 The two Fn buttons on the front of the camera can either be pressed normally to perform an operation or they can work together with the available dials to do something entirely different. The aforementioned Fn buttons, as well as the L-Fn and the press of a joystick can be programmed to access functions such as AF-On, all the different types of metering, Bracketing burst, Framing grid display, My Menu and more, while the combination of those same buttons (with the exception of the L-Fn) and a turn of a dial can allow you to access things like Flash mode, Multiple exposure, Peaking highlights, Rating, Exposure delay mode and a couple more. You will also be able to change the behavior of the AF-On button, but the list of available options is much smaller and entirely tied in with exposure and focus. All of the mentioned customizations are available for the stills mode and are different when you switch to movie mode. The number of available options does shrink in size, but you can still do things like assigning the Fn1 and Fn2 to buttons to control the Power aperture, adjust the microphone sensitivity by holding one of them and turning a dial, control your exposure with the help of the AF-On button or the press of the joystick and decide if the shutter button in video mode will be used to initiate the start the video recording or capture 8MP still frames from the 4K footage. As is the case with an ever modern camera (especially if we’re dealing with a high-end model such as the Z6) it features a wide array of functions and features related to wireless connections and the most important ones begin with your smartphone or a tablet. You will be required to download Nikon’s official SnapBridge application (available both for iOS and Android devices) and after you’ve completed the initial setup procedure you’ll be able to remotely control the camera, transfer images or use all the location data gathered by your smart device. There are also some additional features available like the power-saving mode, the automatic transfer of 2 megapixel images (ideal for those that like to upload their photos directly on social networks), full manual control of exposure for remote shooting (like the main shooting modes, ISO, Shutter speed, Aperture, Exposure compensation and even White balance) and the easy access to all the information that falls under the Help category. 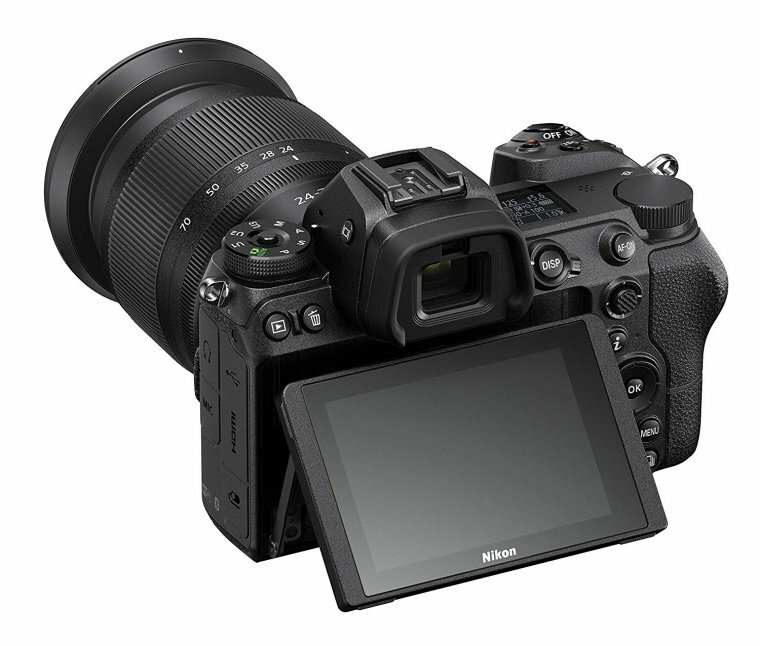 The Nikon Z6 will also allow you to connect it to a computer both using the wireless method and via the USB cable, but sadly, wireless printing is not available, and you will need to connect the camera directly a PictBridge compatible printer for those types of operations. Nikon also offers to distinct computer applications to help you transfer, organize and edit your photos and these are called the ViewNX-i and the Capture NX-D (despite their rather generic names they could actually prove to be very useful for beginner photographers who are in the process of learning of how to work with their new Z6 mirrorless camera). So, in a nutshell, you won’t hear us complain about too many aspects related to this camera’s body, handling, build quality and usability, although a second memory card slot wouldn’t paint a slightly prettier picture about the Nikon Z6. Since the Z6 is marketed as a more mainstream offering than its expensive sibling, the Z7, does it mean that you’ll be getting a noticeably worse focusing capability or performance in general? Well, judging by the extensive testing we’ve done on both cameras it will all boil down to what kind of photography you’re interested in. You won’t notice any difference between the two when shooting static subjects, even if the Z7 does have more focus points to work with (a total of 493 compared to Z6’s 273). Both of them have the ability to focus very accurately even in very dim conditions, but only within the special low light mode which reduces the refresh rate of the EVF and also makes the AF noticeably slower (which, again, will work just fine for still subjects, but shooting anything that’s moving is out of the question if the light levels drop too low). The Z6 will also be able to do a great job of locking on to moving subjects when there’s an abundance of light, but this is also where the differences between it and its expensive brother come into play. The higher focus point count of the Z7 allows it to do a better job of keeping track of those subjects with less predictable motion (especially if they are far away from the center of the frame), meaning that the Z6’s focusing system will only make it an interesting camera for less demanding sports or action photographers. For different types of photographers that aren’t dealing with anything that tries to run away from them, this will be a perfectly fine camera and will enable them to get perfectly focused photos 99% of the time (again, if the light levels are at least decent, as is the case with almost any other camera on the market). Now, let us dwell in all the focusing modes, settings and features that can be found within this camera’s menus. 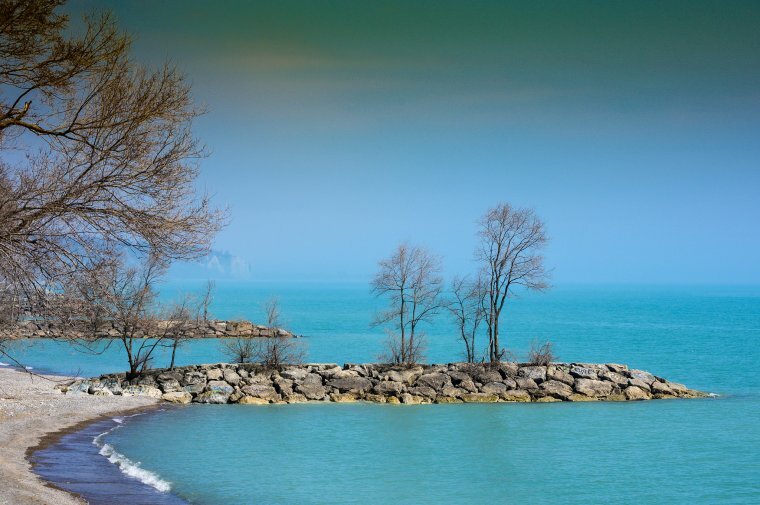 The first thing you’ll have to check out is the main focusing modes. You’ll be able to switch between them by holding the Fn2 button and rotating the main control dial and they consist out of the AF-S (the Single AF mode that will allow you to focus on static subjects), AF-C (your to go mode for shooting anything that moves), AFF (or so-called Full-time AF, which is the continuously focusing mode reserved for video recording and will let the camera automatically change the focus when it detects any changes in front of the lens) and lastly, the obligatory Manual focus (MF) mode. Then there are all the different AF-Area Modes and these are the Pinpoint AF (a precise method of focusing that is best to be used for smaller subjects or particular details in your scene), Single-point AF (this mode will allow you to pick one focus point of all the available ones and is best to be used for static scenes), Dynamic-area AF (an expanded version of the Single-point AF that is reserved for continuous shooting and will use all the points surrounding the one you’ve selected if detects that your subject has started to move), Wide-area AF (you’ll be able to either pick the S or the L mode and these will give you more points to work with than the Single-point AF option), and the Auto-area AF, which is what most of you will be using for the majority of your time since it will allow the camera to choose the appropriate focus points for you. The Subject Tracking feature is also available if you enable the Auto-area AF mode and can be enabled just by pressing the OK button, positioning the shown reticle over your subject and pressing the OK button once again. For those of you that prefer to focus manually, Nikon has also provided you with all the right to tools to make it as straightforward as possible like the Focus distance indicator, magnification and also the Focus peaking (something that all the photographers coming from Nikon DSLRs will surely appreciate having). 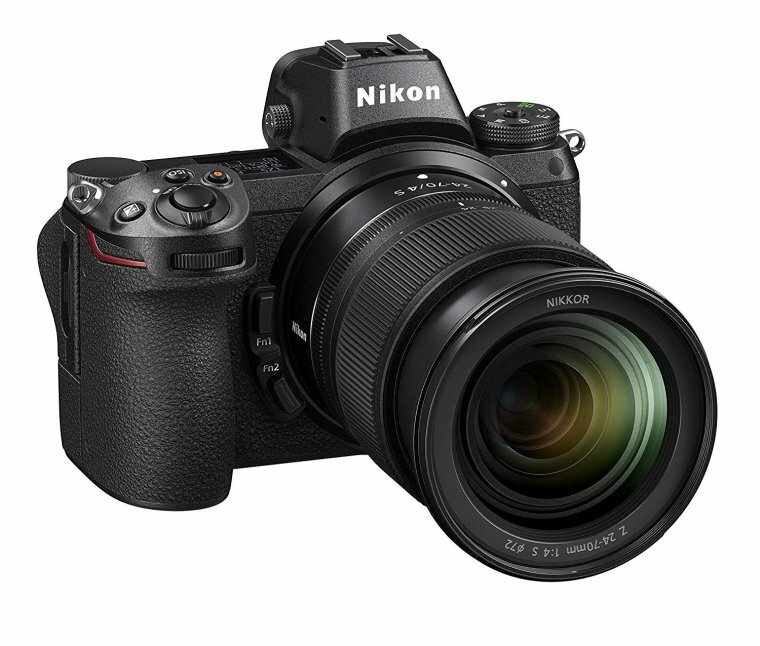 Now, buying the Nikon Z6 will not only get you very good focusing performance, but also very good responsiveness in general. Our testing has provided us with numbers that tell a very positive story about this new mirrorless camera from Nikon; it took no more than 1.5 seconds for it to power on and take a single photo, 0.7 seconds to enter the playback mode and preview that photo and only around 0.2 seconds to acquire focus and capture an image (less than 0.1 seconds without the AF). Those respectable numbers are also accompanied by very decent burst shooting performance (even though it’s still not on the same level as that of many other flagship cameras on the market). If you decide to use the fastest available shooting mode at 12 fps, you’ll be getting around 47 JPEG or 35 RAW images (with the speed dropping to 9 fps in this case). However, if you need the continuous AF option, you’ll have to switch to 5.5 fps and expect to get a buffer depth of around 50 shots for both file types. So, the Z6 will certainly be of use to more casual photographers and even the less demanding sports and action photographers, but not so much for those that prioritize performance over anything else when buying a new camera. A very similar thing can be said for the camera’s battery life, which is average at best for a full frame mirrorless device. Using the included EN-EL15b battery pack will give you a maximum of 310 shots if you’re mostly shooting through the viewfinder and 380 if you prefer using the LCD monitor and you’ll also be able to charge it inside the camera thanks to the inclusion of the USB Type-C connector. This won’t work for the older EN-EL15a and EL-batteries (which are also natively supported), but it’s always good to see when a company gives their users more options when it comes to using different types of batteries (since a lot of Nikon users will have a lot of spare ones just lying around). In a nutshell, we are pretty pleased with the job Nikon has done in making the Z6 a fairly competitive device performance-wise when compared to other full frame cameras on the market, but it would make it even a better device if the burst rate was a little faster and the battery life could keep up with the demanding large sensor and the included 4K recording capabilities for the entire day. While Nikon’s DSLRs weren’t the first choice for most serious videographers out there for many years (and there were good reasons why that was the case), the company has certainly managed to change its ways and release a number of very capable cameras in the last couple of years that are able to compete with most of products coming from the rest of the competition. The Z6, together with its bigger brother marks yet another milestone in Nikon’s history as a device that’s finally on the same level playing field when it comes to video recording capabilities as the best hybrid cameras out there (we’re not comparing it to more specialized video cameras that aren’t even close to its photography prowess). The first reason why that is the case is the addition of 4K 30 fps recording, but with an added bonus of oversampling for better image quality. The DX mode can also be activated for those that want to get more reach out of their existing lenses and a very impressive 1080p 120fps option is also here to appeal to those videographers that like to play around with slow-motion effects. Not only is it useful having so much flexibility on a portable mirrorless camera when it comes to different resolutions and framerates, but it’s also important to point out that the quality of all those combinations will be very good no matter what you’re doing with the camera. We were pleasantly surprised to see that Nikon has invested their time and effort to make the Z6 such a great performer since we were only expecting decent quality at best. Add to that the addition of 5-axis image stabilization and the availability of Flat Picture profile (for those that like to tinker with their footage in any of the available video editing tools) and the only limit in getting great looking videos with this camera will be your own skills and nothing else. The Z6 also brings a full package of audio capture and monitoring features (headphone and microphone jacks, microphone sensitivity and headphone volume level adjustments and also the attenuator and wind noise filter functions) together with the full manual control of exposure (including the aperture, something that has been limited on so many Nikon DSLRs before) and the Zebra patterns. Focusing speed and accuracy have also been much improved over the company’s previous offerings thanks to the inclusion of phase detection focus points that can also work in live view making the Z6 quite usable in most conditions when left in the continuous AF mode. We still wouldn’t go as far as calling it the best performer in its class when it comes to this particular task, but the more important thing is that it’s still a huge upgrade over anything you were able to get on any Nikon DSLR in any point in time. We also like that fact that 10-bit recording is supported when it’s being done with the help of an external recorder (it’s also using the so-called N-Log format) and that the rolling shutter effect that is present on every mirrorless camera is well controlled and not very noticeable in most conditions. We do wish that Nikon have managed to include a fully articulating screen to make the Z6 a camera that even the serious videographers could consider but considering the fact that very few full frame cameras have been blessed with such a feature we really can’t criticize the Z6 itself for not having it in its otherwise rich and versatile arsenal of different tools and features. While there are many expectations one could have for any new flagship camera from Nikon that’s reaching the market, the most important one for many photographers out that certainly has to be the stills image quality. The ability to get great looking photos in even the most demanding lighting conditions has been a part of many of Nikon’s DSLRs for many years now and they’ve successfully transferred those same capabilities over to their first full-frame mirrorless cameras as well and thus the Z6 is as good of a camera in this regard as any other that the company has released in recent times. 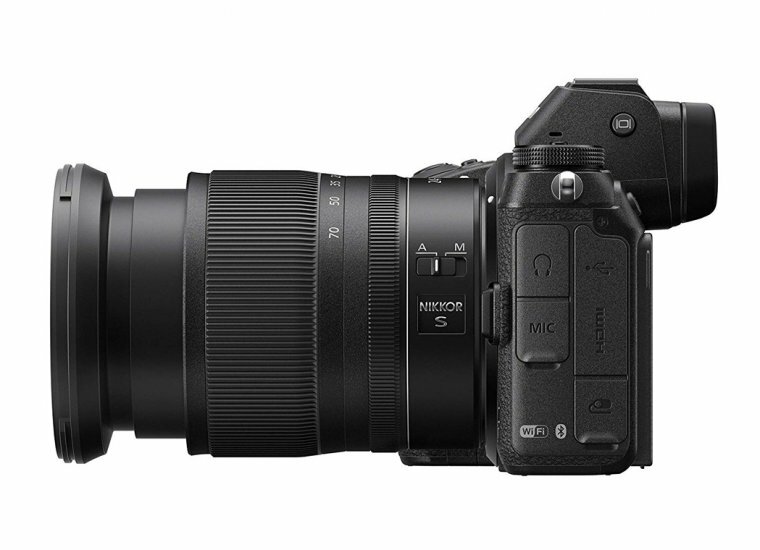 Considering the fact that it has almost the same megapixel count and also includes an AA filter to battle the unwanted effects of moire (but at some cost to sharpness) the Z6’s overall image quality could easily be compared to the likes of Nikon D750. That particular camera was famous for having the excellent dynamic range and showing very reasonable amounts of noise at the highest ISO levels and you could expect to get very similar performance with the new mirrorless offering from Nikon. It won’t be able to resolve as much detail as the likes of the Z7 or the Sony A7R III, but those that aren’t planning to print in very large formats or aren’t in need of great cropping potential will be perfectly happy with the overall quality of photos the Z6 is able to produce. In traditional fashion of modern digital cameras, this one also offers a lot of features to help you achieve a particular look to your images without having to edit them on a separate device and these are the Active D-Lighting feature, Vignette Control, Diffraction Compensation, High ISO NR as well as all the different Picture Profiles like the Neutral, Vivid, Monochrome, Portrait and Landscape and the ability to edit the preloaded ones as well as create your own by playing around with Sharpening, Clarity, Contrast, Brightness, Saturation and more parameters. There’s certainly a lot to be said about Nikon as a company and especially their history with DSLRs, as well as mirrorless cameras. 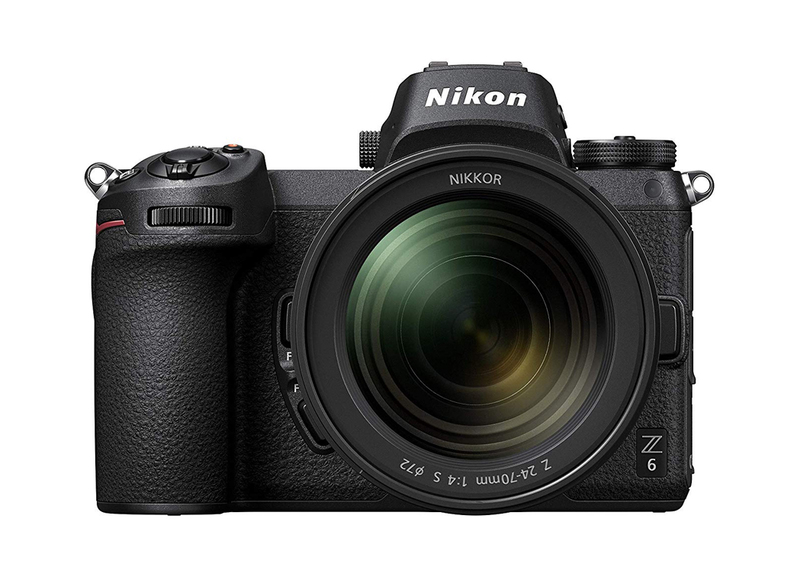 The Z6 is not their first foray on the mirrorless ILC market since that place is reserved for the entire line up of Nikon 1 cameras (such as the J1, J2, V2, V2, S1 and so on). While none of them could be considered bad products by any stretch of the imagination, the didn’t yield much success because of their smaller sensors and a small number of lenses that were available for the system. 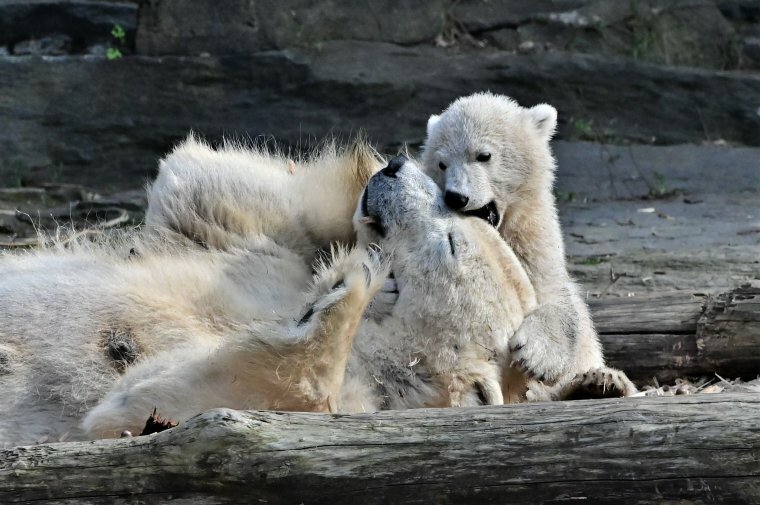 It took Nikon 3 years to regroup and present an entirely new line up of truly capable cameras that were catered to both the enthusiast and professional photographers and thus, the Z6 and the Z7 came to be. 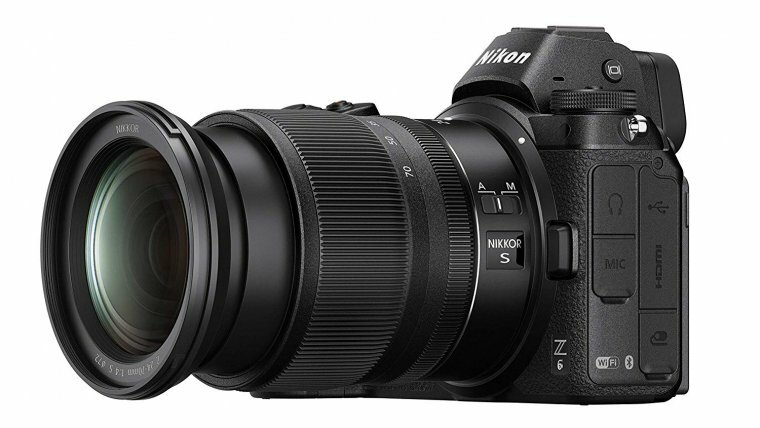 This time around, it is very hard to say anything bad about the Z6 (the choice of native lenses is fairly limited, but you do get the option to use most of Nikon’s DSLR lenses thanks to the availability of an official adapter). Simply put, it’s a capable device no matter how you look at it. It’s built very well, has the ability to produce great looking photos and videos, has all the necessary ports, an easy to use menu system and more. It may not have the best endurance of all the cameras on the market and neither will it appeal to all the professionals that can’t live without a secondary card slot, but that doesn’t stop it from getting a very high recommendation from us and earning the place of being one of the best enthusiast-oriented full-frame mirrorless cameras available at the time of us writing this article. Well done, Nikon.